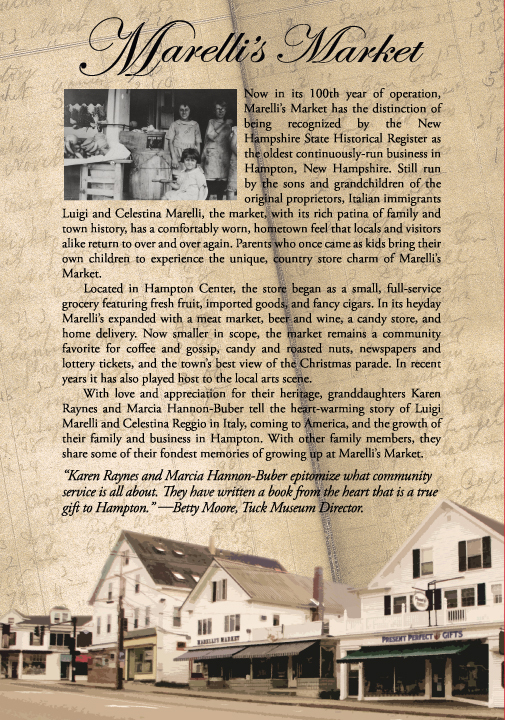 Now in its 100th year of operation, Marelli’s Market has the distinction of being recognized by the New Hampshire State Historical Register as the oldest continuously-run business in Hampton, New Hampshire. Still run by the sons and grandchildren of the original proprietors, Italian immigrants Luigi and Celestina Marelli, the market, with its rich patina of family and town history, has a comfortably worn, hometown feel that locals and visitors alike return to over and over again. Parents who once came as kids bring their own children to experience the unique, country store charm of Marelli’s Market. Located in Hampton Center, the store began as a small, full-service grocery featuring fresh fruit, imported goods, and fancy cigars. In its heyday Marelli’s expanded with a meat market, beer and wine, a candy store, and home delivery. Now smaller in scope, the market remains a community favorite for coffee and gossip, candy and roasted nuts, newspapers and lottery tickets, and the town’s best view of the Christmas parade. In recent years it has also played host to the local arts scene. 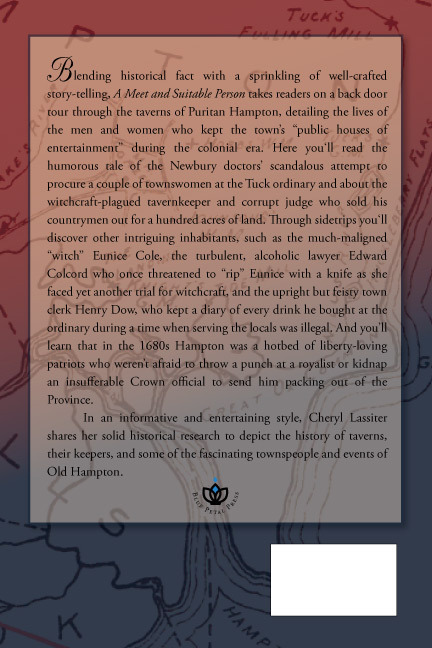 Blending historical fact with a sprinkling of well-crafted story-telling, A Meet and Suitable Person takes readers on a back door tour through the taverns of Puritan Hampton, detailing the lives of the men and women who kept the town’s “public houses of entertainment” during the colonial era. Here you’ll read the humorous tale of the Newbury doctors’ scandalous attempt to procure a couple of townswomen at the Tuck ordinary and about the witchcraft-plagued tavernkeeper and corrupt judge who sold his countrymen out for a hundred acres of land. Through sidetrips you’ll discover other intriguing inhabitants, such as the much-maligned “witch” Eunice Cole, the turbulent, alcoholic lawyer Edward Colcord who once threatened to “rip” Eunice with a knife as she faced yet another trial for witchcraft, and the upright but feisty town clerk Henry Dow, who kept a diary of every drink he bought at the ordinary during a time when serving the locals was illegal. And you’ll learn that in the 1680s Hampton was a hotbed of liberty-loving patriots who weren’t afraid to throw a punch at a royalist or kidnap an insufferable Crown official to send him packing out of the Province. 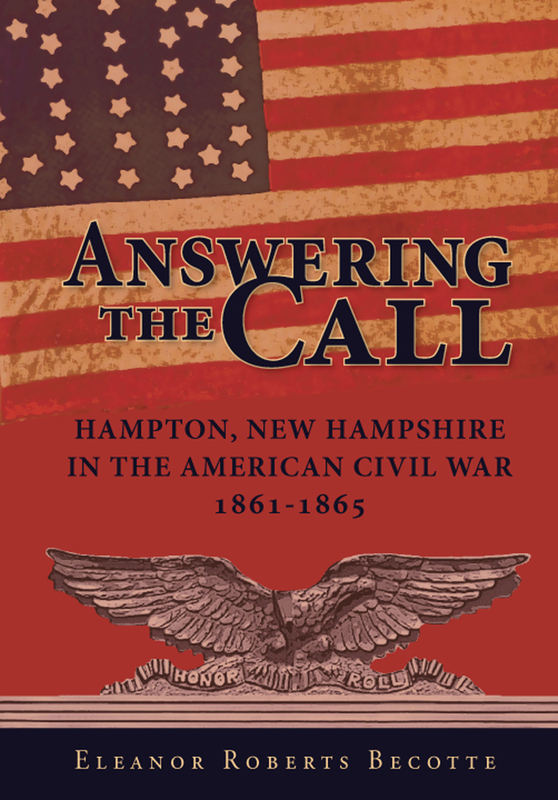 Written by a lifelong Civil War aficionado whose great grandfather was a “Billy Yank,” using documents, photographs, letters, and diaries from the archives of the Hampton Historical Society, and against the broad backdrop of the war fought on many fronts and in many locations, Answering the Call tells the story of the Hampton men in all units who fought and died in the four-year conflict to end slavery. Up until the latter part of the 20th century, the cold waters of the New Hampshire seacoast provided an abundance of clams, fish, and lobsters, first to the Abenaki Indians who originally inhabited the area, then to the European settlers and their descendants who came after. Using historical images, memoirs, and video interviews with local fishermen, lobstermen, and historians, documentary filmmaker Joshua Silveira takes us on a thoughtful journey of discovery through the early days of settlement up to the present day, examining the development, heyday, and eventual decline of the local fisheries industry. 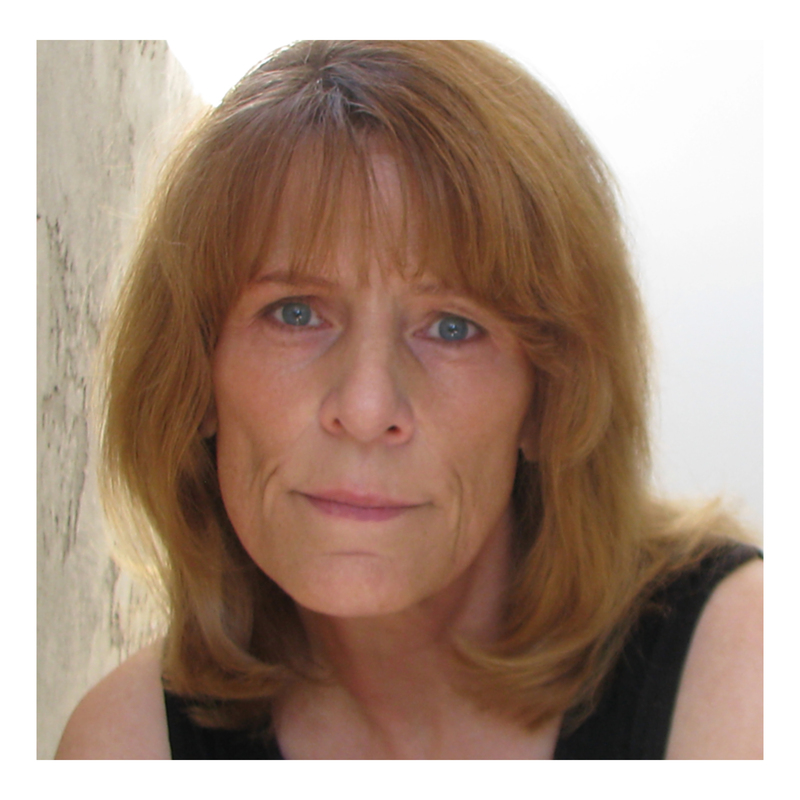 Like his 2012 film, Salt Marsh Farming on the New Hampshire Seacoast, Silveira once again opens our eyes to the beauty, history, and economic importance of the New Hampshire seacoast. It’s August, 4:00 a.m. on the marsh. The tide is low and the salt hay farmers are already at work, the sound of their scythes brisk across the marsh. If all goes well, if no one falls into a sink hole or gets trapped by a sudden storm, by the time the dew has dried the farmers will be done for the day. In winter they’ll return to haul the stacked hay off the marsh. The methods changed over time, but this cycle of harvesting the nutritious marsh grass was repeated for over 300 years. In Salt Marsh Farming on the New Hampshire Seacoast, award-winning producer Joshua Silveira has combined well-researched narration, rare photographs, and personal interviews to tell the story of New Hampshire’s salt hay industry, from its vital role in the region’s settlement and early economy, to its development as a major economic force that survived well into the 20th century. Listen carefully and you just might hear the distant roll of the sea, the cry of the gull, or the shout of “Hey, boy!”- the thirsty salt hay farmer’s call for a cool drink of switchel.